Play Ball! | 50 Westerns From The 50s. « The Ranchman’s Steakhouse, Ponder, Texas. 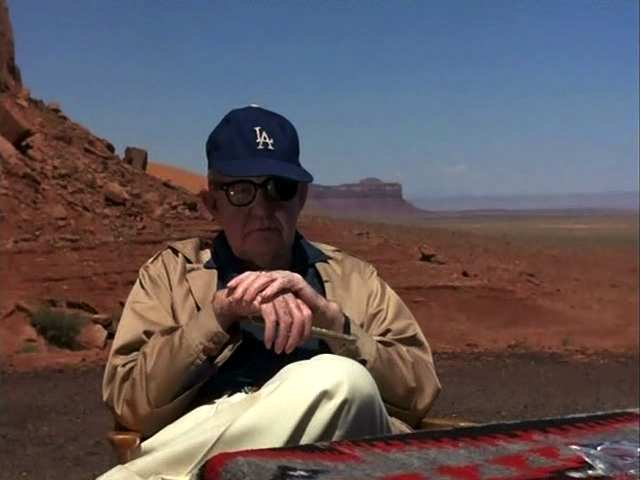 It’s become a tradition here at 50 Westerns Of The 50s to commemorate baseball’s return with this glorious shot of John Ford in Monument Valley, sporting a Dodgers cap. Don’t know about you, but I’m always glad to see baseball season come back around. Now the season can truly begin.